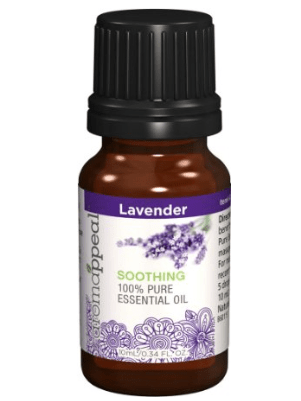 Aromatherapy is perfect for colds and respiratory issues. I am a firm believer in aromatherapy! I have seen the results! They cannot be denied! Eucalyptus has a powerfully woody, slightly sweet scent that can cultivate your senses and refresh your outlook. Traditional Uses: Soothing, rejuvenating, uplifting. History: Eucalyptus has a powerfully woody, slightly sweet scent that can cultivate your senses and refresh your outlook. Our Eucalyptus oil is steam distilled – steam is used to vaporize the oils and active ingredients, so they can be extracted and condensed. This assures you of the purest aromatherapy experience. Few scents are as distinctly tantalizing as the cooling, minty vibrancy of Peppermint. Traditional Uses: Rejuvenating especially when rubbed on the temples, refreshing, uplifting, digestion, circulation, skin soothing, neurotonic for overall nervous system health. History: Few scents are as distinctly tantalizing as the cooling, minty vibrancy of Peppermint. Our Peppermint Oil is produced using either steam distillation or cold pressing, to assure you of the purest aromatherapy experience. A wonderful fusion of oils, herbs and fruits for the body. Includes a medley of Olive, Sunflower Seed, Wheat Germ, Sweet Almond, Sesame and Jojoba Oils Enriched with the lively citrus scents of Grapefruit, Lemon and Orange. Use this Aromappeal product as a hot oil treatment for the hair, as a bath oil, or as a hair, body, massage or cuticle oil – its possibilities are limitless! I rely on these three essential oils throughout the cold and flu season. I put them in the bath, I put them under my nose, I put them on the wood stove pot of water, I put them in the essential oil diffuser. They are a powerful blend, and they work wonders for kids or those with sleep issues from constricted airways. Lavender oil is also very soothing and healing for springtime poison oak! The wonder oil is a lovely blend, and I prefer oil to lotion. I have yet to try it as a hot oil treatment on my hair, but I will! My hair needs it! My only criticism is the print is a little small on the essential oils labels for my 42-year-old eyes. Ok, maybe I should invest in some glasses, but I do think tiny print may not serve the masses. I also wish these products were organic. They do make organic versions of the essential oils, but we were not sent samples of these varieties. Iraq Province Bans War Toys for Children: Should the US Follow Suit?